Ultimate Glass Art, Inc. is a family owned and operated business doing custom shower enclosure, mirror and stained glass work in the Chicago area with over 30 years of experience. We specialize in shower enclosure, door and mirror installation, along with custom stained glass work and restoration. We also work in creating custom countertops, backsplashes, and sinks. Our shop is equipped to make custom textures and painted glass. We will work with you from start to finish in providing you with limitless options to realize your next custom project and vision. We are artists at heart, putting that extra touch into everything we do. Reach out to us to discuss your next project. WE are acknowledged in CHICAGO LAND as leaders in terms of quality, product value, and customer service in residential and commercial areas (heavy glass shower enclosures, store fronts, mirrors, glass table tops and related products). 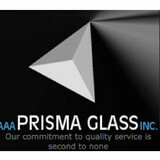 Trust AAA Prisma Glass Inc. to provide full-service glass, mirror and shower door sales and installation services. With over 25 years of experience you can trust the products and services you receive to be of the utmost quality - every time. When you call the local experts for custom glass services, you'll always receive competitive prices and a FREE estimate for both residential and commercial projects. Our Company, located in Streamwood, IL, is a premier installer of custom mirrors and shower doors. 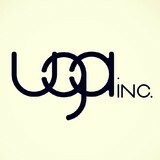 We offer on site consultation to ensure your finished product is exactly what you're looking for. We have a variety of glass types and hardware finishes to make your selections process a breeze. We also offer custom glass shelving, glass tops and cabinet glass. Whatever your glass needs are, we are sure we can accommodate you. Visit our show room today! IMAGO Glass Shower Doors Chicago has over 15 years of experience providing high-quality custom glass shower doors and shower enclosures to Chicagoland homeowners. We offer all kinds of shower doors installation from shower enclosures to sliding shower doors for budget-conscious homeowners. Manned by highly skilled professional contractors, we make sure that nothing of the installation job is left undone. Our friendly customer service team is always available to answer any query and respond to customer needs in a timely manner. We only aim to provide our customers with 100% service satisfaction guarantee. For over 31 years, Area Glass has been at the forefront of glass, mirror, and shower door design and installation. Our customers expect no less than the beauty, accuracy, and timely installation our products and services. We offer a beautiful design center with full-sized displays and a staff with knowledge and expertise. Chicagoland Glass Company proving shower doors, mirrors, tabletops and any of your other glass needs. Looking to update your shower? Not a problem! At AAG Glass And Mirror, we can fashion a shower door solution that works for you. We offer a wide range of high-quality products and materials to suit your budget and needs, and our goal is to complete our work in a manner that not only meets, but exceeds your expectations. Offering dependable Shower Door and Mirror installations and repairs, our contractor handles the greater Chicago land area and beyond! Need a reliable professional to install a shower door or repair windows on your property? Then turn to the professionals at AAG Glass And Mirror. Our installation contractors have the experience necessary to complete your project accurately and efficiently. At AAG Glass & Mirror, we downright refuse to compromise on quality. We want you to come away more than satisfied with any repair or installation, and we give each job our full attention no matter the size or scope. When you work with a repair and installation contractor from AAG Glass & Mirror, you'll get the benefit of: -Lifetime warrantied hardware -1 year warranty on labor -Professional installation using the quality materials A solid investment: new, updated, or improved shower doors, mirrors and shelving can add value to any property. If you need a window and door repair and installation contractor, trust the team at AAG Glass And Mirror. To learn more about our products and services or to schedule an on-site estimate, call us today. House of Glass has served the Chicagoland area since 1975. Our experienced team of skilled professionals provides expert installation and replacement of glass, windows and mirrors for residential, commercial and industrial customers. We seek to understand your needs and help you to choose the appropriate glass in terms of Safety, Security, Strength, Sound, Heat Transmission and Aesthetic Appeal. All of this can have an impact on the cost-effectiveness, comfort and overall beauty and function of your design. House of Glass is a small family-owned company with an owner intimately involved with day-to-day operations. Our success is built on word-of-mouth recommendations and developing relationships with our customers. Each customer is an individual to us. We continue to provide our costumers with outstanding work, because our employees are long-term, experienced, knowledgeable people who take pride in their work. Our employees are very professional in their appearance. From the smallest residential glass job, to the largest commercial glass installation, House of Glass, in Elmhurst Illinois, has done it all! Work is performed in our shop or onsite by our staff of highly skilled, professional glass installers. We are the top professional mirrors manufacturer own the brand "Mirror Trend", we cooporate with the best designers world-wide to make sure we always provide the most trendy mirror designs for our customers .All mirrors are made by hand with the traditional exclusive Italian glass technics, at the same time, we use the high quality material and good package, best designs plus best quality in affordable manufacturer's price.You will definitely find the piece perfect fit for your home from our various mirrors, your place will be looked so bright and stunning with our mirror's decoration. 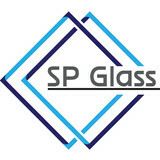 Clear View Industries Inc. is a family owned and operated Glass Installation Company. We have been specializing in Commercial Glazing and Residential Glass Projects for over 30 years and we are committed to providing you with a quality service at an affordable price. Full-service residential and commercial glaziers specializing in shower doors, mirrors, and window repair. A Division of Schaaf Window Co.
What can a local St John glass company help me with? If it’s a major home glass repair or replacement, the St John glass company should work directly with your insurance company to help bring down costs for you, if applicable. Find St John glass companies on Houzz. Narrow your search in the Professionals section of the website to local glass, mirror and shower door services in St John, IN and read reviews and ratings to find one that fits your needs.